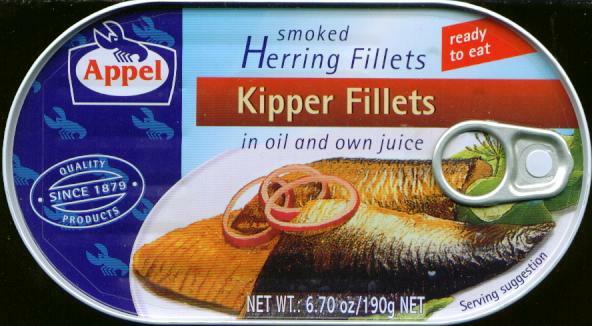 Appel Smoked Kipper Fillets -- Smoked Herring Fillets 190g - Fish - The Dutch Shop LLC your store for Dutch groceries. Smoked Herring Fillets in oil and own juice. Kipper Fillets 190g By Appel. Ready to eat.